Update (1 April 2019) – Congratulations to winner Masson Seeley. Member Make it Happen provides training, consultancy, project management and products to the signage industry. 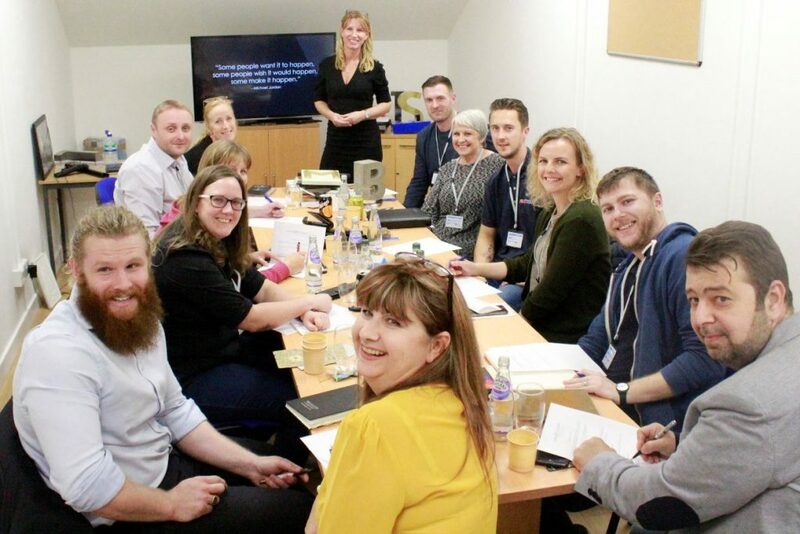 Their mission through their training programmes is to expand current knowledge; and encourage new ideas and practices to enhance the service provided by delegates to their clients. Their vision is to connect the signage industry at all levels. To this end, they are offering a lucky SDS member the opportunity to win a free place at one of their scheduled education programme training days between March and May 2019, in either Leicester or Barnard Castle (County Durham). The winning delegate will learn the dos and don’ts of sign design and fabrication including: the impact of different types of materials and illumination; panel splits; laying out artwork and how font can impact on costs. As well as providing general guidance, the course will explore the many possibilities and opportunities open to sign companies. This one day (CPD) programme is suitable for estimators, project managers, sales people, designers and production staff at all levels. It will include demonstrations of techniques and materials that would otherwise take months to cover and lead to a more educated and enthused work force – able to identify and explore lucrative opportunities. [Please note that the prize does not include travel or subsistence costs for the training day]. To be in with a chance of winning a CPD training day for yourself (or one of your team if you’re feeling generous), please email Kate at enquiries@signdesignsociety.co.uk, by Friday, 22 March 2019, with the title line ‘Make it happen this spring’, your name and company (where appropriate). The winner will be drawn randomly and notified within 24 hours. The offer is only available to fully paid up SDS members (including students and staff from institutional members the University of Reading and the Hong Kong Design Institute).